A marker placed by the Morven School Alumni Association in 2002 gives insight to the institution’s history: Home schooling prevailed in Morven District among early families. After 1865, small academies were supported by private means, with limited public funds. Morven Academy, founded by Dr. Robert Hitch, had local and boarding students for twenty years. 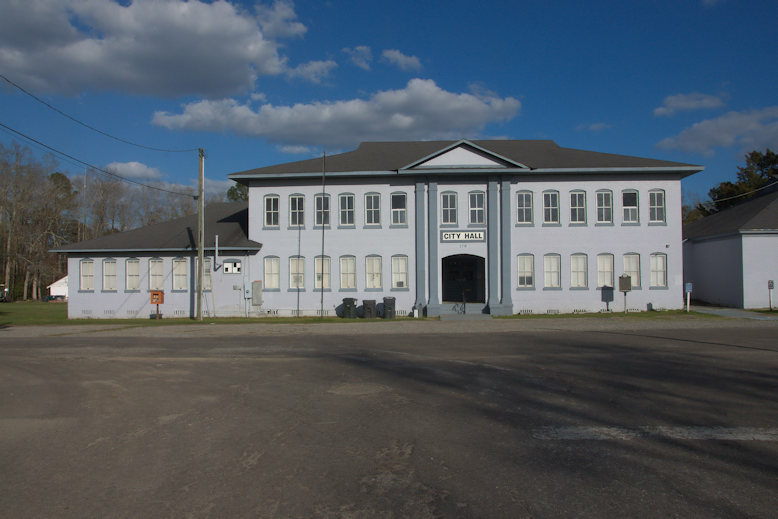 Other small schools were merged with it to from the Morven School about 1900, located about two hundred yards to the east on Mill Pond Creek. It was replaced by the two-story brick building in 1914-15, financed by a bond issue. The north wing was added about 1923…In 1935-36 a one-story brick building to the south was erected…The high school closed in 1959…Alumni have worked to restore and adapt the buildings to community uses since 1995. It has been nicely restored and now houses City Hall and government offices.